If you are anything like me, once those gorgeous fresh tomatoes start rolling off the vine in mass quantities, or if you simply have a hard time resisting to buy them at your local farmer's stand, it can become a little overwhelming trying to figure out what to do with all of them. Of course you can always jar or freeze them, but what other ways can you enjoy the freshness of an amazing summertime tomato plucked straight from the vine? Well here are five of my all-time favorite recipe ideas from both 21 Rosemary Lane and TheBigGiantGoodBasket , for preparing this fantastic yet nutritious summer fruit. 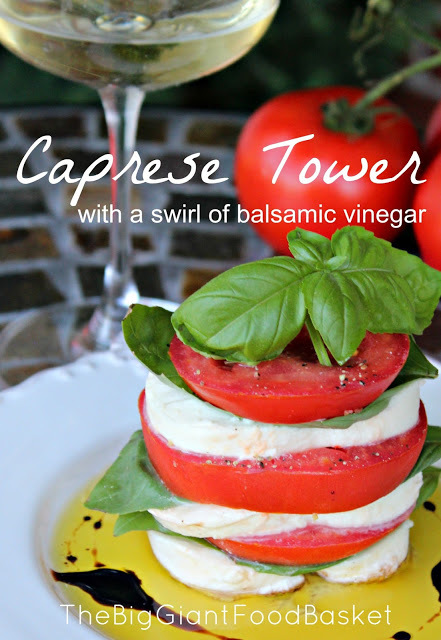 This tower can be a meal in itself, or served as a classy pre-meal appeteeezer! 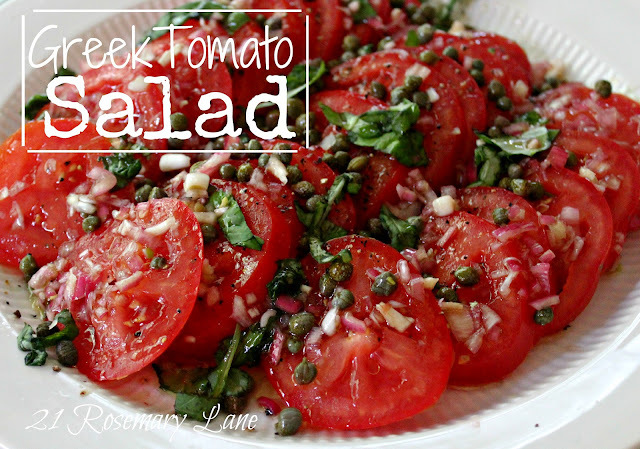 This Greek tomato salad is a great side dish idea for any summer cookout! 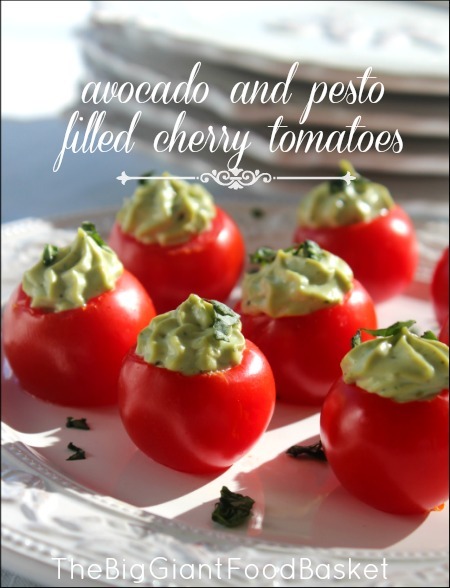 Another appeteezer here...love the idea of pairing the creamy avocado with these sweet cherry tomatoes...Yum! So perfectly bite-size! 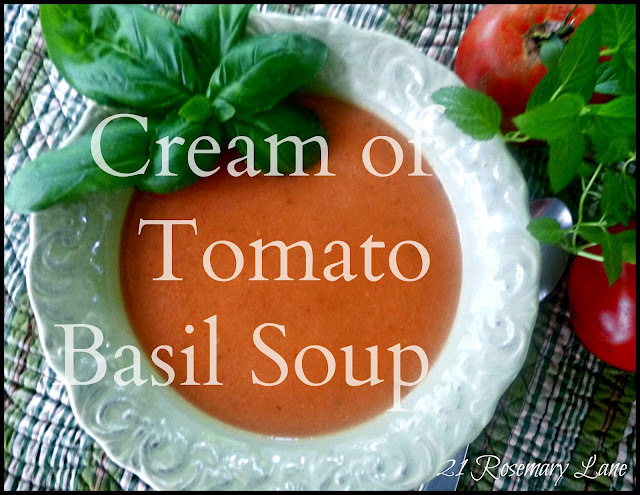 My tomato basil soup also contains a touch of Parmesan cheese. Just the right amount of comfort in this favorite comfort food. And lastly the classic pairing of tomato, mozzarella cheese and basil tossed with a home creation of garlic infused olive oil. All you need to do is click on the image of the recipe you'd like to check out, and you will be flown first class to that post. Super easy right?? And the recipes are super easy as well. Good luck harvesting and enjoying those oh so juicy tomatoes!! All look so delicious. 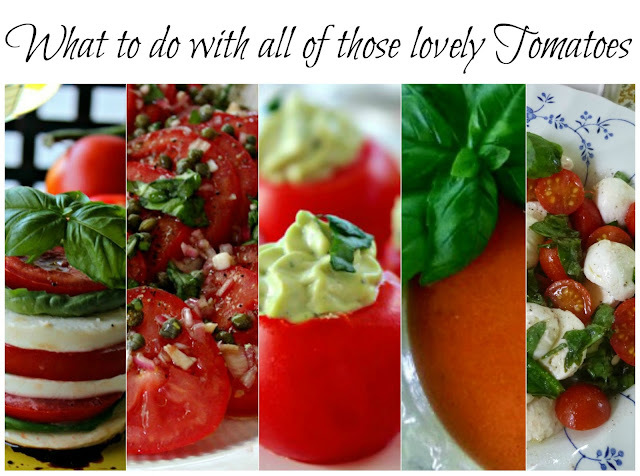 I love, love, love tomatoes and mozzarella together. Thanks for the recipes! My tomatoes aren't even starting to turn red yet. There's a million of them, though. I hope they ripen soon so I can use some of these recipes! Canning: spaghetti sauce (both canned and frozen, but definitely big-batch) A-1 steak sauce, barbecue sauce, bruschetta sauce, enchilada sauce, pizza sauce, sloppy joe sauce, taco sauce tomato soup, vegetable soup, ketchup, salsas, sun-dried tomatoes, tomato jam, pickled green tomatoes, herb-stewed tomatoes, Ro-tel type tomatoes, chili, pork-n-beans, forget the tomato paste (waste of time and resources- 9 hours cooking + 20lbs. tomatoes to make (12)4oz. jars) and my un-canned favorites, sun-dried tomatoes. Shall I go on? 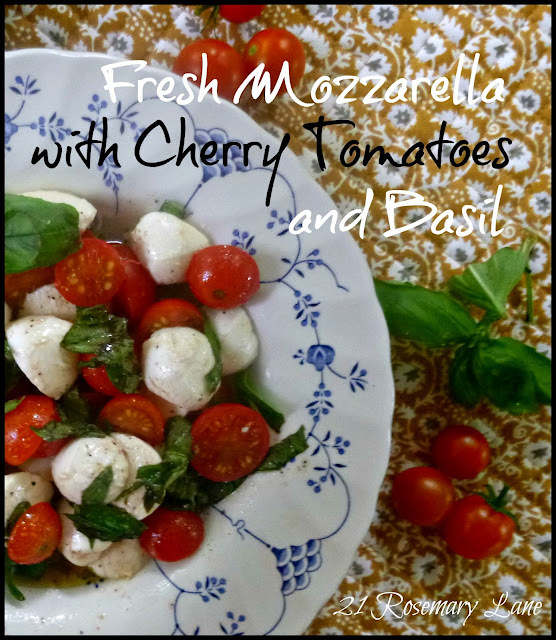 Might I suggest making your own mozzarella too? Your recipes look wonderful - have you ever fried them? That is one of our favorite ways when we have a bumper crop.